In organizations, one of the most common complaints you’ll hear about is decision making. These include some variants of decisions taking too long to be made, poor decisions being made, or the right people not being consulted. Ironically, because we are all intimately involved in decision-making processes (as drivers of decisions or stakeholders), we all play a part in the problem we're complaining about! So how can we shift from just complaining about poor decision making to doing something about it? A great framework to learn and use in your work life is Decision Making Modes. 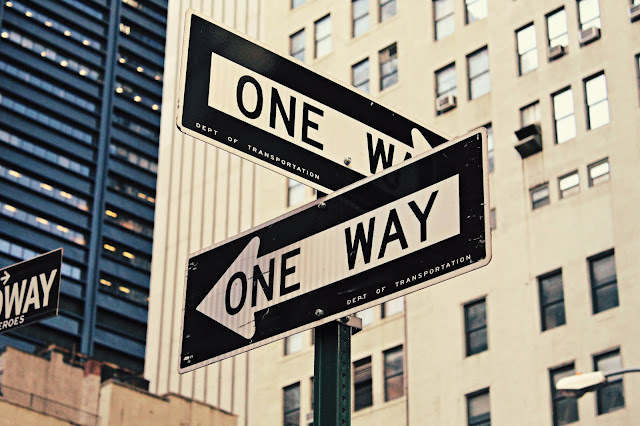 Decision Making Modes define the approach decision drivers engage with their stakeholders. 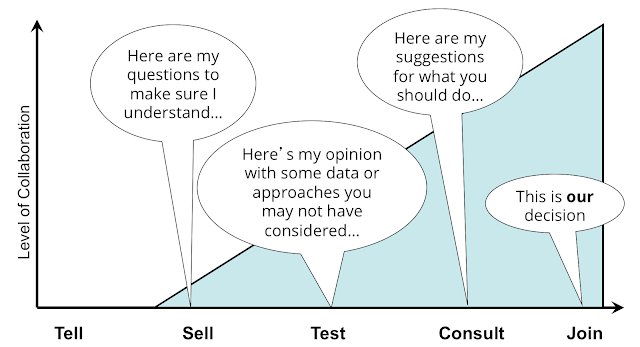 The five decision modes are: Tell, Sell, Test, Consult, and Join. As illustrated in the diagram above, the level of collaboration between the decision driver and her stakeholders increases as you move from left to right. Tell - You are communicating a decision and you do not want feedback! People don't generally respond well to being told about a decision without an explanation, especially when that decision directly impacts them. Generally avoid using Tell in business situations unless it's a genuine life-critical emergency! 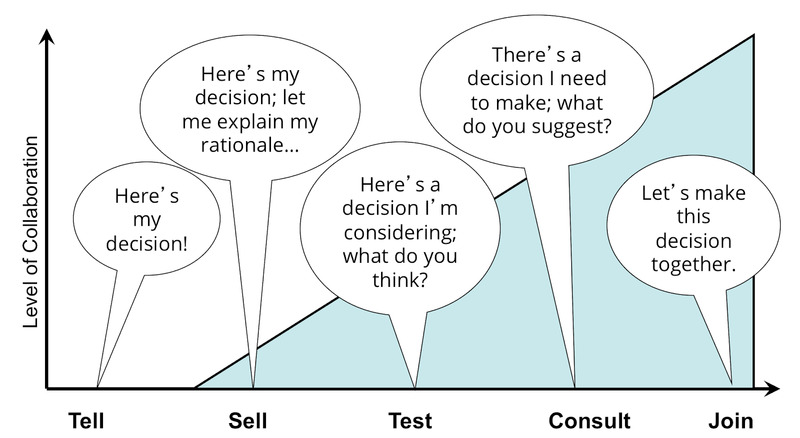 Sell - You are communicating a decision and you are explaining your rationale. In Sell, you want to share the different alternatives you considered and why you chose to not go with them. You must be clear with your stakeholders that the decision has been made and you are not seeking more alternatives. Test - You are about to make a decision and are asking your stakeholders for their reaction. As with Sell, you want to share your rationale but unlike Sell, the decision has not yet been made and you are specifically seeking input that may change the decision. 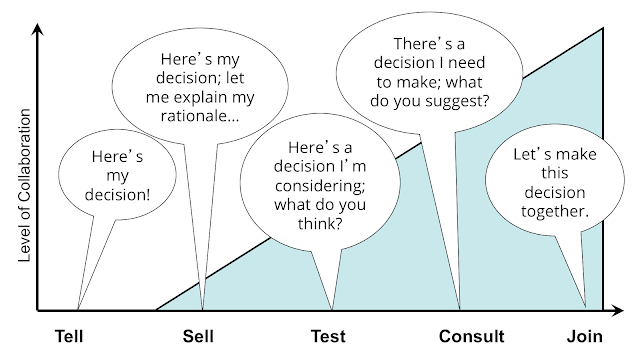 Consult - You have been asked to make a decision and you are soliciting stakeholders for their ideas. It's important to be clear that you are not abdicating your responsibility to make the decision and asking for consensus. Instead, the decision will be made after you have considered the alternatives. Join - You are asking your stakeholders to make a decision with you (this is consensus decision making). Join should be used sparingly in business situations since it gives equal votes to each stakeholder which is rarely appropriate (perhaps if you are choosing a location for an off-site). 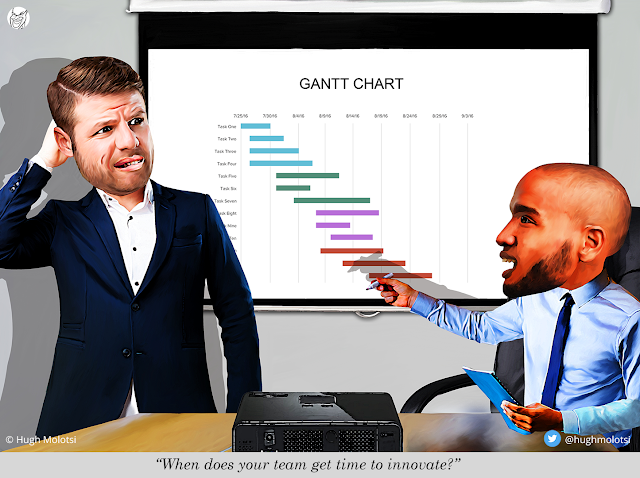 Join can also take an inordinate amount of time given it's possible for just one stakeholder to hold up the entire decision. One common source of friction during decision making is when decision drivers and stakeholders are not in synch on the decision mode. 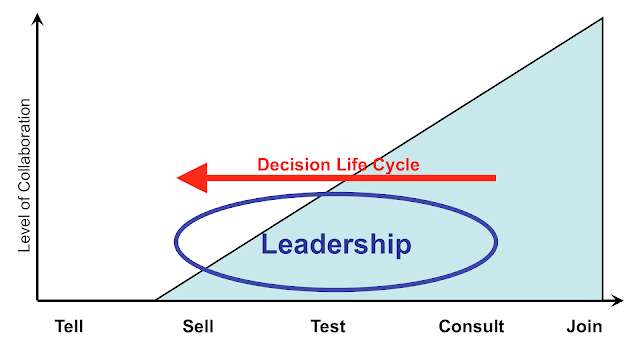 If you are a stakeholder, you can ask the driver this clarifying question: "What decision mode are you in?" Unless you intentionally want to hold up the process, your cooperation is demonstrated by responding appropriately to the decision mode. For example, don't advocate for an alternative when the driver is selling a decision. Almost all of us at some point have been guilty of contributing to a poor decision-making process by being uncooperative stakeholders! 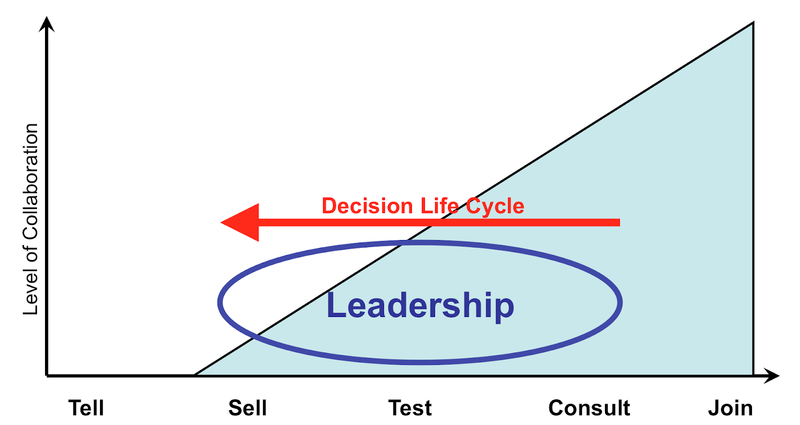 Decision drivers should use the Decision Life Cycle when making a decision by first consulting stakeholders, then testing their proposed decision, and finally, selling their decision. By consulting, you'll be equipped with a wide range of alternatives to consider. By testing your proposed decision, you won't be blindsided later by significant pushback or considerations you may have missed. Your ability to sell the decision will be greatly enhanced when you directly address concerns you heard when you were testing. Note that the Decision Life Cycle can be completed within one meeting. There may be situations you feel you don't have time to consult or test but consistently following the Decision Life Cycle will lead to better decisions and save you some of the painful pushback that may occur later. Even after a decision has been made and communicated, it is a best practice to let your stakeholders know that you are open to revisiting the decision if new information comes to light that warrants consideration. Indeed, with time, situations change and new data can be discovered. It actually requires strong leadership to change important decisions. In conclusion, applying Decision Making Modes in your organization can go a long way in addressing common decision making problems by providing an engagement framework for drivers of decisions and their stakeholders.